Remember when, last week, I discovered the “Latin” produce section at my local grocery store and went gaga over the jicama? Yes, I’m sure you do–my Mexican Cole Slaw was the oh-so-yummy result. Well, this week is a very similar story. Only this time my love affair started with chayote. Chayote, which originated in Mexico but has since spread all over Latin America, is a member of the gourd family along with melons, cucumbers and squash. 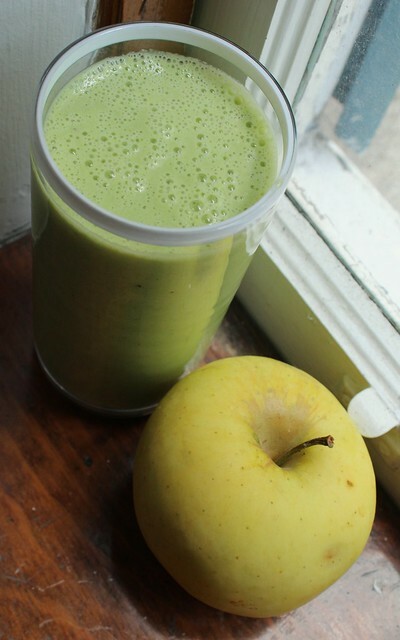 However, I find that its texture and flavor is a little similar to pears–and that’s why I decided to make a smoothie out of it.